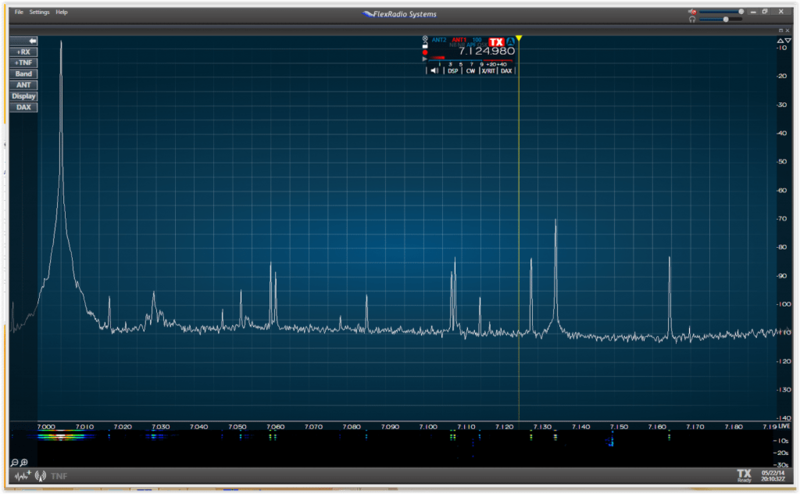 HAM radio real-time logging program with packet dx window. insert the new program disk. Now you are ready to begin. for a good size log. that you'll have a hard copy of the instructions. copy to insert in a page protector, which is particularly handy. correct his copy too. Some countries are not in the "standard"
Accepted abbreviations are: NA, SA, EU, AS, AF, OC. will display UTC in the middle of the screen once you get going. You'll be able to check on yourself then. the Information Sheet, moving from field to field with the TAB key. Sheet, ESC will permit you to abort the program and start again. CQCW88.NOT, CQCW88.ALL. WAE logs create a .QTC file. before making any more contacts. the fields. The UP and DWN keys move you around the pop up menus. gets the real program going. to the power or zone field, skipping the RST field. point simply by starting the program again (CT ). cursor keys. If you have used the EMACS editor, they are familiar. Up and down cursor (arrow) keys work as you might expect. CTL-W to remove G3FXB from the current call field. window) and CTL-G. You may now edit the QSO. Calls worked on current band will appear in bold. For color monitors, bold = white. ALT M Hit it once, and it enables the Multiplier Check Sheet. You may wish to fabricate a template to go over your function keys. time, and you are toggled back to your running frequency. you on the new band (for a new running frequency). ALT S Starts the QTC form. Follow directions. line is empty) to use in the QTC form. Information Sheet to Y, to tell the program that a TNC is available. ALT P Brings up a monitor window to watch packet activity. ALT F3 Causes a DX spot to be sent to PacketCluster (TM). the TX and RX frequencies with a slant bar (/), i.e. 7091.3/7213.0. puts the radio back where it started, as this is a toggle function. ALT A Brings up an abbreviated list of DX spots recently heard. STATUS line of LPT1 or LPT2. to the transmitter keying cable (hot, not ground side). NPN small signal transistor (for example, a 2N4400, a 2N3904, etc.). is connected to the transmitter keying cable (hot, not ground side). call field and hitting return. INS (The Insert key) Send his call followed by exchange. ALT F9 CW sending speed down by 2 WPM. ALT F10 CW sending speed up by 2 WPM. SHIFT F2 Change exchange message. SHIFT F3 Change QSL message. ALT K Toggle into and out of Keyboard mode. ALT V Change CW speed by taking the number typed in the callsign field. CTL C Cut off sending currently in progress. particularly handy for those of you who never could handle a paddle. To leave keyboard mode, type ALT K again. You may wish to print the file CT.HLP for quick reference. window. Hit any key to get back to the main program. You may wish to do a Print Screen (SHIFT PrtSc) of this window. "Sending 48 WPM ... and I can copy him!" or: "Power failed at 1415z. I'll never catch W1RM now." QUIT Save to disk and exit to DOS. WRITELOG Generates the logs that contest organizers require. DUPESHEET Generates Dupe Sheets by band, in compressed mode (NAME.DUP). SOUND Enables computer's speaker when sending CW. NOSOUND Disables computer's speaker when sending CW. WRITESUM Generates a summary sheet (NAME.SUM). ARRL.CTY. For CQ WW Contests, this program uses the file CQWW.CTY. For DARC WAE, this program uses the file WAE.CTY. as 2 points if your call is K1EA, but is 3 points for G3FXB. Similarly, ON4UN is 1 point for G3FXB, but 3 points for K1EA. with CT NAME . You're back in business. either ALT F1 or ALT F2. be done from within CT.
files: NAME.10, NAME.15, NAME.20, NAME.40, NAME.80, and NAME.160. log for all bands. WRITELOG provides this in the form of NAME.ALL. the log to disk and returns you to DOS. make. N2AA and N6AA would also like copies of NAME.BIN. starts CT. For example: CT -m EXAMPLE starts CT in mono mode. run MODE CO80 after ending the program to get your color back. and take care of distribution. K1EA continues to support the code. the latest revision, regardless of how often you got an update. * Support for extended memory, and thus 14,000 QSO's per extra megabyte. require multiple computers and com hardware. together in the multi categories. * Support for ICOM radios. bring a computer to Aruba). * On-Line "uniques" and "uniques plus one" checking (with extra memory). and recognition as a certified good guy. Exit the Program. Type QUIT in the call field. by rate in each hour and on each band. a summary for the contest committee. and 40 zones on one page. Check Partial (F8) is the only way to go "search and pounce". suffix, then find it on the paper. at the begining of the callfiled. PacketCluster (TM) SysOp to exclude you from getting DX spots. worked on the current band. - Thanks K5ZD. entered as a call. Both fixed. specify b/w or real color. * ALT M, for Multiplier Check Sheet added. * Lingering DUPE information now wipes with CTL W in call field. country the program has interpreted the prefix to be. - Thanks K5ZD. found by checking G*F or G3F*B. - Thanks K1KA. * Specify B/W or COLOR in NAME file. Rev 4.07 - This a major revision. the log. It is no longer necessary to edit a text file. mostly works for EU stations. A separate .QTC file is kept. * WPX is supported, still a little buggy I'm afraid. zone based on suffix. - Thanks YU3EA. to your hearts content, then B2R it back. Rev 4.08 - Minor bug fixes. * Serial number now takes 4 digits. Rev 4.09 - Many bug fixes. * Times put back in time field! * Program crash after: modify call, F5, enter. This is fixed. * Times in the output logs (from WRITELOG) now read properly. * The TS940 support had been inadvertantly removed. Now working. Rev 4.10 - More bug fixes. * When editing old calls, time on/off got screwed up. Fixed. * ALT S now picks up the most recent call for QTC form. Rev 4.14 - Substantive changes. black means worked on this band. savings in effect, offset to UTC is corrected automatically. * Real time clock added for convenience. zone countries (VK6, UA0Y, VO2 etc), are sent to the screen. * Flow control with packet is now fixed, no more dropped characters. * F2 and F3 are now swapped: F2 sends report, F3 sends QSL QRZ de CALL. QUIT, WRITELOG, BREAKDOWN, SOUND, NOSOUND, WRITECLIST. * F4 Send His Call. * F5 Send My CALL. * F7 Send QRL QSY de CALL, in WAE send QRU (no QTC). * ALT F5 Make current frequency the running frequency. * ALT F7 Send: QRL? * CW sending keys work while in the multiplier or help windows. switch back to the main window. * Check Partial fixed (again). * CTL-BS does what CTL-W does, wipe out an entry. * Fixed the "changed bands, but it didn't take" bug. PRINTMULT sends a multiplier checksheet to the printer.